September Newsletter: Make a Special Memory! Back to School Haircuts! 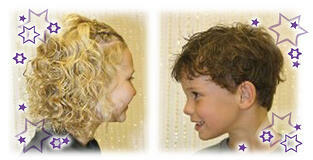 Look your best for school pictures this month by stopping by Shear Madness for a refresher! We have great stylists who can help you achieve that cool hair style you're looking for. And don't forget, we also have a TON of cool hairbows to match any outfit, hair products, great items for party gifts and much more. So make an appointment today to get ready to look and feel your best! Make a Special Memory with our Baby's First Special! Because your baby's first haircut is a special occassion, right now you can buy a Baby's First Package and get one FREE photo certificate for the grandparents (Please note: photo certificate is a 1/2 sheet grandparents Baby's First Photo Certificate, regularly priced at $5). Make sure to call for an appointment, as these take twice as long as a regular haircut. Note: Available all month long at participating locations. Locks of Love Annual Event! Locks of Love is a public non-profit organization that provides hairpieces to financially disadvantaged children under age 21 suffering from long-term medical hair loss from any diagnosis. The Annual Locks of Love event at Shear Madness is scheduled for Sunday evening, September 27th (at participating locations). Participants will not only get a FREE Haircut, but also receive a keepsake Locks of Love Certificate featuring a before and after photo! Be sure to check out the Locks of Love website and the Shear Madness website for more information about this cool way to help others. At participating locations - call for details as they may vary per location. The Shear Madness Summer Conference! Did you know that Shear Madness Haircuts for Kids recently held an awesome summer conference at the historic Elms Resort and Spa? Check out our story here for photos, info about our guest speakers, the vendor show, franchise winners and more! And don't forget, if you are someone who would like to learn more about the many awesome business opportunities available with Shear Madness Franchising, be sure to check out Franchise Opportunities to get started. And if you're interested in our other free resources for businesses, or would like to learn more about how to become a successful owner of your own franchise business, check out our blog or call 1-888-98 GONE MAD! 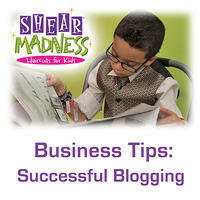 Shear Madness Social Media! We're having a LOT of fun on our social media sites! That's because we're always sharing the good times with funny jokes for kids, a chance to win on our FREE Haircut Friday, great photos and so much more! And best of all, the party is happening right now on our Facebook page, Franchise Blog, Instagram, Google+ and Twitter! 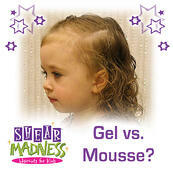 And don't miss out on some of our favorite Shear Madness pins this month on Pinterest! September Savings! With school having started, we understand how all the new clothing, shoes, and school supplies can add up pretty fast! So that's why we've put together some great coupons to help you save a little bit when you're looking for ways to help your kids look and feel great. Be sure to head over to our coupon page for these awesome savings! Fun kids crafts! Kids love being creative and making things with their hands. So don't miss our Crafts for Kids section on Pinterest, and spend an hour or two of fun quality time with the ones you love! Learn how to make a balloon ping pong game, or try your hand at crafting a kid-made terrarium. Also, check out race cars made out of toilet paper tubes, crazy pet rocks, edible finger paints, and cool paper sculptures! Writing and maintaining a blog may take a little extra time out of your day, but it’s also a low cost means to advertise, educate and facilitate trust with existing and potential customers! Each and every post that is written gets published as its own indexed page on your web site. The more pages you have, the more opportunities you have to get found online! But, it’s also important to understand that even if you take the time to create a blog – it may not create the response you’re hoping for. What you are offering through a blog must be compelling, look professional and be well written, or people will quickly move on to greener pastures. If you’re interested in learning how to use blogs as an important marketing resource, check out some of the following helpful tips we’ve learned while maintaining our own blog. Understand your audience: Who is your ideal customer? If you discuss problems and present solutions for your ideal customer, it’s likely they will be interested in coming back to read and learn more. Think about how you might use blog content to facilitate positive relationships and generate trust with your customers! Keep a blog post to one topic: Just like when people jump from topic to topic in daily conversation, it can also be frustrating for a reader if written content meanders about and doesn’t stick to the point. Consider how newspaper or magazine articles are written, and look at how other popular writers in your industry are generating effective content. Search Engine Optimization (SEO): For each blog post, you’ll want to look at using keywords in the title. Keywords are words or phrases that are commonly searched for on search engines such as Google. But remember! Only use keywords that are relevant to your blog post! Customers will become frustrated if they find your post through a search keyword, and discover that it’s not about the subject they are looking for! You’ll also want to look at creating a meta description for your blog post. A meta description is a short summary that search engines will use when displaying search results. Many blog sites should have capabilities to input meta descriptions and keywords. Attractive Blog Posts: Not everyone is a designer, but attempt to make your blog post pleasing to look at. Use easy to read fonts, a consistent font and font sizing from post to post, and refrain from using font colors that are hard to read (black is best, but occasionally dark colors for standout text may be useful). Use quality images, subheads, and bulleted lists for additional viewing impact. Proof Read! When you’re finished writing your blog post, be sure to read through it at least once to look for any spelling errors, bad grammar and poor sentence structure. You may also want someone else to read it too. Nothing will kill a message like bad grammar, misspelled words, or hard to understand sentences. Utilize a Call to Action: It’s a good idea to end each blog post with a Call to Action – something that prompts the reader to click on a link to download a free resource, fill out a form for more information, or follow a link to another relevant topic or product. If customers like what they read, and are convinced of the value your post is trying to convey, they may want an opportunity to learn or do more. An effective Call to Action that is relevant to the post helps them do just that!